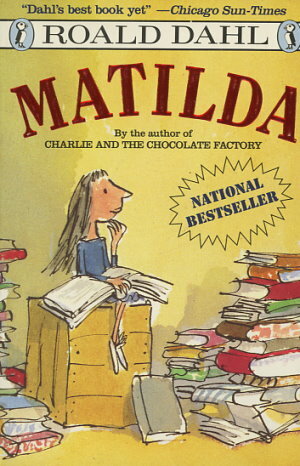 For hundreds of kids "The Trunchbull" is pure terror -- for Matilda, she's a sitting duck. Who put superglue in Dad's hat? Was it really a ghost that made Mom tear out of the house? Only sweet, gentle Matilda knows. Because she's the one playing all the jokes! She's a genius with idiot parents -- and she's having a great time driving them crazy. But at school things are different. At school there's Miss Trunchbull, two hundred pounds of kid-hating bully. Pull a trick on "The Trunchbull" and she'll string you up. Get rid of The Trunchbull and you'll be a hero for every kid in Crunchem Hall. But that would take a superhuman genius. Or maybe a sweet, gentle -- crafty -- genius?